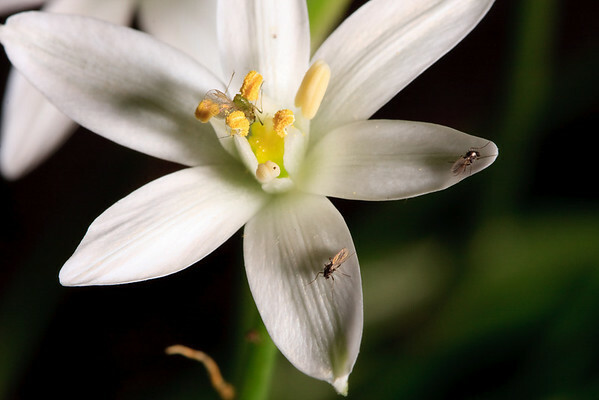 Miscellaneous animal macro photos, especially of invertebrates. 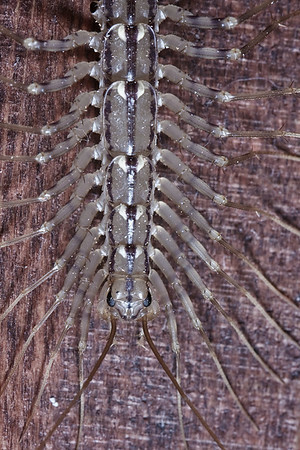 A house centipede (Scutigera coleoptrata) climbing a wooden door. 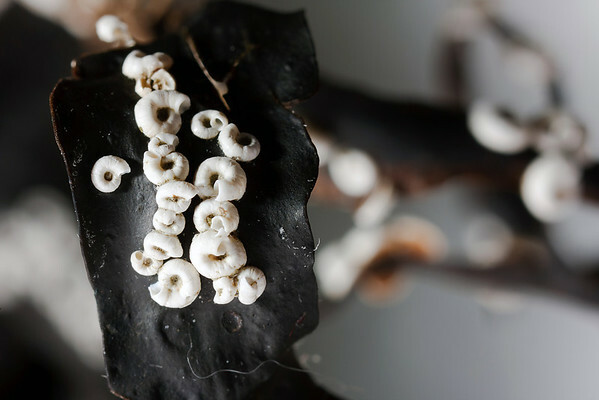 Tiny Spirorbis spirorbis, a sessile polychaete worm that lives in coiled shells, on a dried piece of wrack. 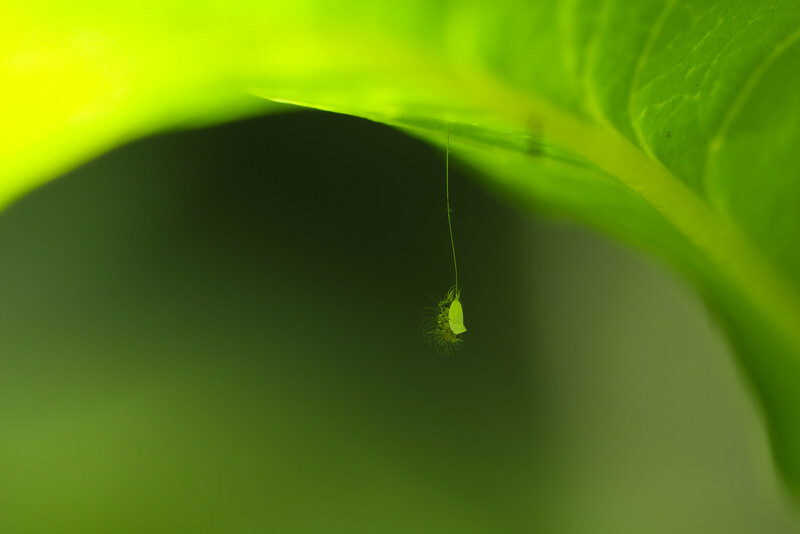 A newly-hatched green lacewing clings to its suspended egg, suspended in the shade of a leaf.